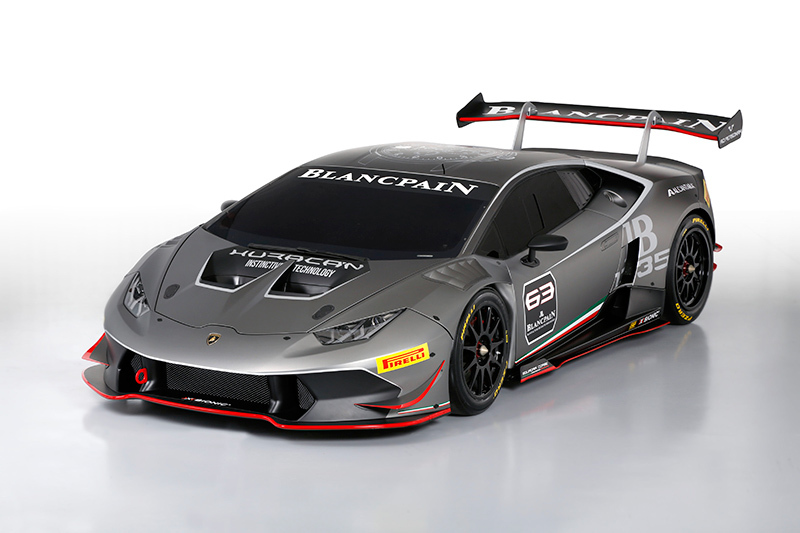 Automobili Lamborghini presents its new generation racecar developed by its Motorsport department: the new Huracán LP 620-2 Super Trofeo. 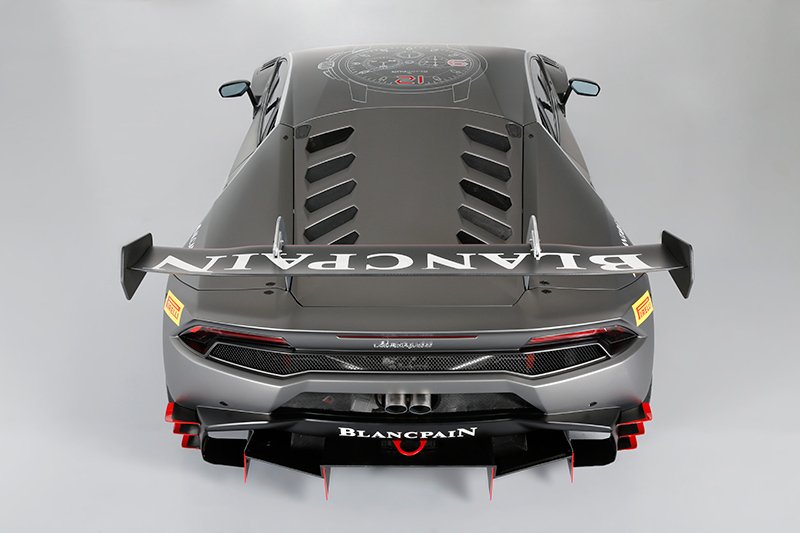 Unveiled in a world preview a few days ago during the prestigious Monterey Car Week (California, USA), the car will debut in all three series (Europe, Asia and North America) of the 2015 Lamborghini Blancpain Super Trofeo. The chassis features an exceptionally light roll cage at just 43 Kg that extends to the rear axle, and impressive torsional stiffness that represents a massive 45% improvement compared to the previous model. The frame is a hybrid carbon/aluminum construction with modified geometries to house an improved radiator up front and better accommodate the racing gearbox at the rear, which also provides better aerodynamics. 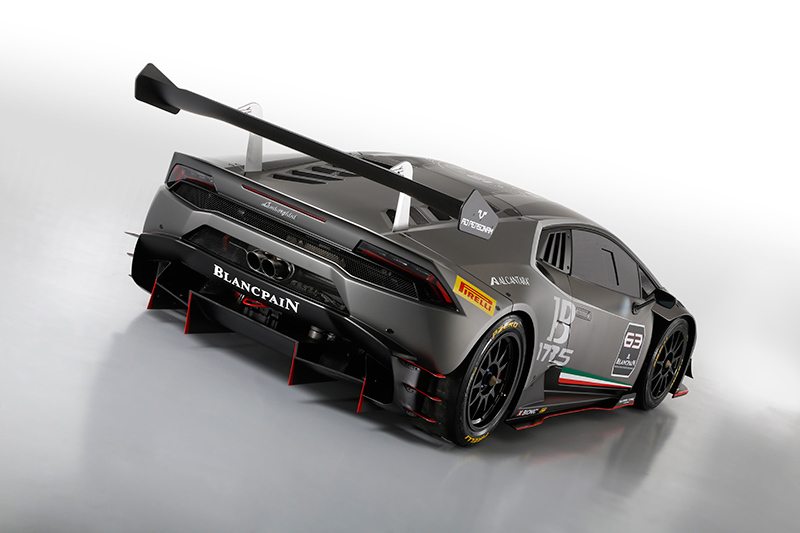 The dry weight of the Huracán Super Trofeo is 1,270 Kg, with a weight distribution of 42/58%. The bodywork is in composite materials and, along with the aerodynamics, has been developed in collaboration with Dallara Engineering with the direct involvement of the founder Gian Paolo Dallara. Refinements to the Huracán Super Trofeo include new bodywork ‘fast fittings’, and a new oil radiator providing even more performance than that found on the Gallardo. The new Huracán Super Trofeo adopts the V10 direct injection engine mounted on the road car, managed by a Motec control unit that delivers a maximum output of 620 hp and an astonishing weight/power ratio of 2.05 Kg/hp. A significant feature of the Lamborghini Blancpain Super Trofeo is the rearwheel drive choice as already adopted in the GT classes. This will allow Super Trofeo drivers to gain important experience of this traction system to facilitate their motorsport careers. Further technical features on the Huracán Super Trofeo include new engine supports, a new three-disc clutch and an XTrac sequential gearbox developed specifically for the Huracán Super Trofeo with an electric actuator designed by the Magneti Marelli Motorsport division. Electronics represent a significant leap forward in development, and now include new lightweight cables and connections specifically for racing. The control unit is the MOTEC M182 that controls data, gear changes and the new TFT display mounted on the dashboard. Special features are the traction control and the Bosch Motorsport ABS. This system features 12 different settings that can be actioned directly on the steering wheel for ideal set-up in any weather/track conditions. Front and rear lights are now LED only as on the road going version. A new, race-oriented steering wheel has been developed jointly with OMP. Aerodynamics have been refined for better drag efficiency and maximum traction and downforce in any track conditions. More balanced than before, the aerodynamics now benefit from a rear wing with ten different settings, front and rear diffusers, and adjustable front air intake ducts. 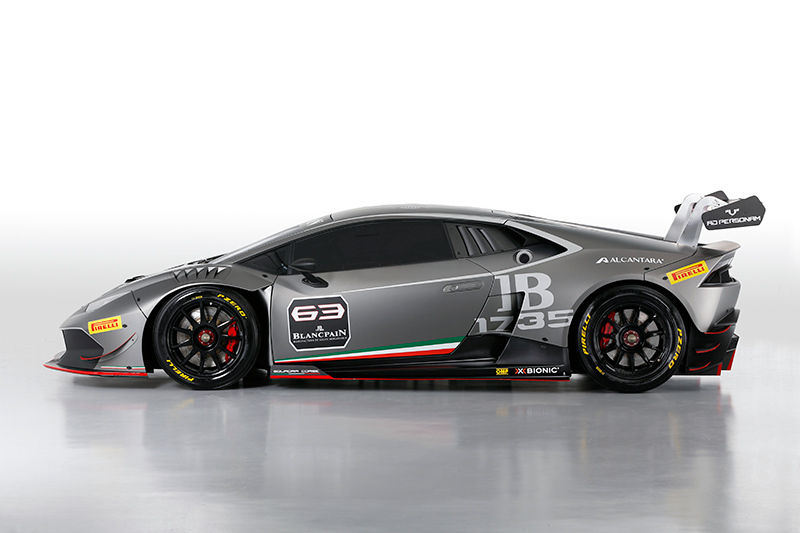 The new Lamborghini Huracán Super Trofeo will be exclusively equipped with Pirelli tyres. Pirelli has followed every phase of the new car’s development – from the first drawings to final road tests – in order to create tyres that are perfectly matched to the Lamborghini’s specific 3 characteristics. In particular, the decision to go with two-wheel drive for the new Huracan Super Trofeo has led to new tyre sizes: 305/660-18 at the front, and 315/680-18 at the back. The Huracán Super Trofeo is mounted with fully adjustable anti-roll bars and two-way adjustable Ohlins dampers. The hydraulic power steering enhances steering sensitivity and adopts an electric power pump. In the racing-specific interiors the Alcantara® in Nero Ade colour is used throughout the car, on the dashboard and central tunnel and also on fundamental driving parts, such as the steering wheel, gear selector and ergonomic seats. Lamborghini’s newest raging bull supercar already made its track debut last month in development tests. For the occasion, under the supervision of the Chief Test Driver Giorgio Sanna and along with the two official Automobili Lamborghini test drivers Fabio Babini and Adrian Zaugg, all the Young Drivers Program pilots were involved and provided their feedback. With the new Huracán LP 620-2 Super Trofeo the historic partnership between the brand founded by Ferruccio Lamborghini back in 1963 and Gian Paolo Dallara, now becomes even closer. The same Dallara was among the first engineers who worked on Lamborghini cars and had a key role in the development of the legendary Miura.